Do you need a root canal in Richmond? 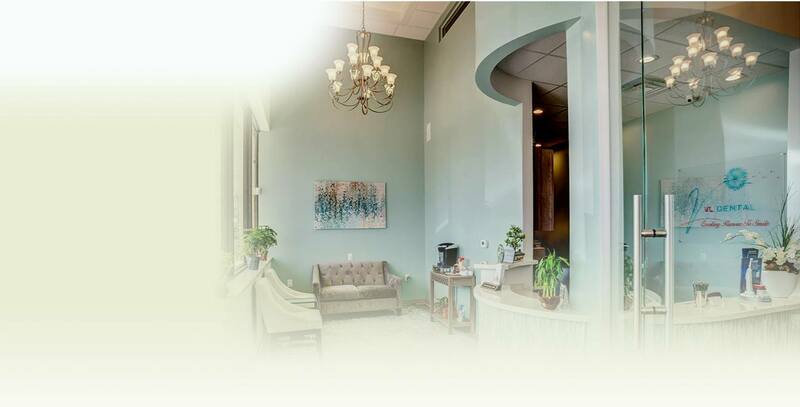 In the hands of your experienced, caring dentist at VL Dental, endodontic treatment has never been more comfortable. It’s often the last option before extraction of the tooth is necessary, so don’t delay therapy for a root canal. If you suspect you or a loved one need a root canal, don’t put off getting in touch with your dentist. Infection in the mouth can quickly spread to other parts of the body -- and the root canal is often the last option before extraction of the tooth is necessary. Of course, sometimes an infected tooth presents no symptoms at all. Maintain regular visits to the dentist to help catch the signs of decay and infection early. To repair significant decay or infection with root canal treatment, your dentist removes all the tissue from the inside of the tooth and then restores its strength with a sturdy filling or dental crown. Root canal therapy is often completed in two visits to the dentist, though sometimes one is enough to heal the infection and restore strength to the tooth. If your root canal is completed over two visits to the dentist, you will wear a temporary filling in the time between. Take care with this restoration, as it was not made to last forever -- and it is more vulnerable to breaking under excessive force or pressure. Avoid chewing on the side of your mouth with the temporary filling. If you do experience a break or other issue, contact your dentist immediately. Endodontic treatment is oral surgery, and you will experience the related side effects -- like soreness, swelling, bleeding, and discomfort -- in the days after. Take your pain medication as prescribed for comfort, and follow your dentist’s instructions carefully. Brush and floss your teeth as usual. Do you need endodontic therapy? An infected tooth very rarely heals on its own -- don’t put off the necessary treatment. Your dentist in Richmond provides comfortable, effective treatment for root canals. Get in touch with us to schedule an appointment today!